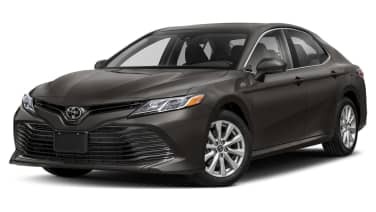 Scroll down for the full brief and a video showing off this sleeper Camry from Toyota, and then check out our live images up top. TORRANCE, Calif. Nov. 4, 2014 - In drag racing terms, a "sleeper" is a car that looks as innocuous as possible, but has the means to blow the doors off the competition. 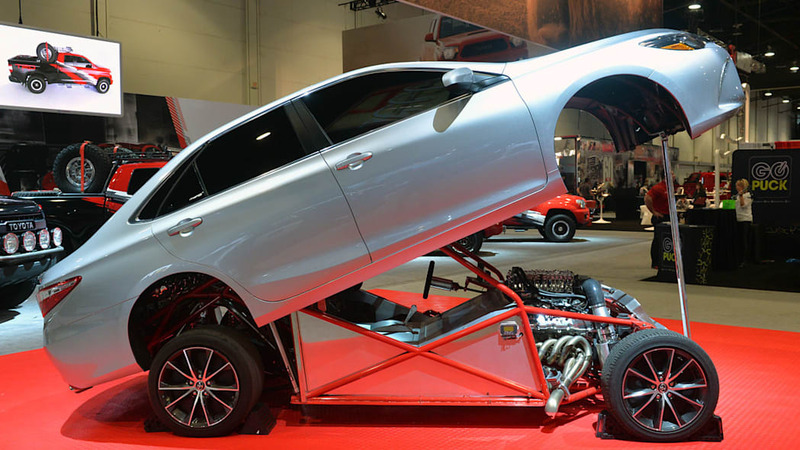 The attendees at this year's Specialty Equipment Market Association (SEMA) Show were shocked when emcee Rutledge Wood lifted the Sleeper Camry's body to reveal a purpose-built dragster putting out over 850 horsepower. 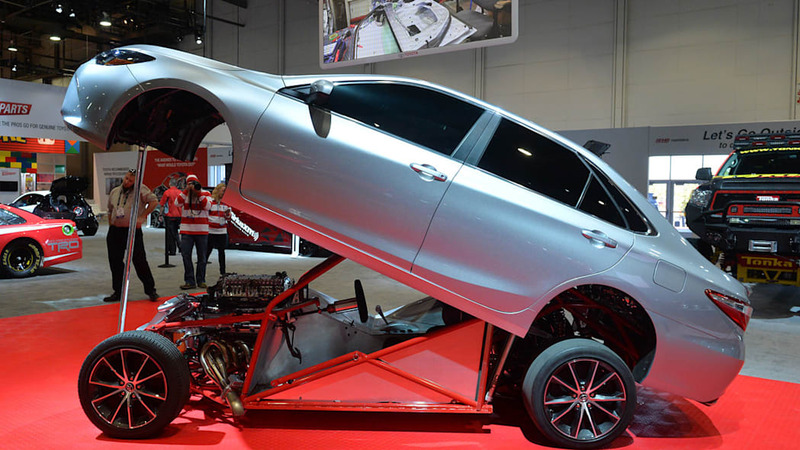 The excitement was palpable as crowds of onlookers rushed into the Toyota booth to get a glimpse at the source of the ear-splitting growl that shook Central Hall to its foundation. 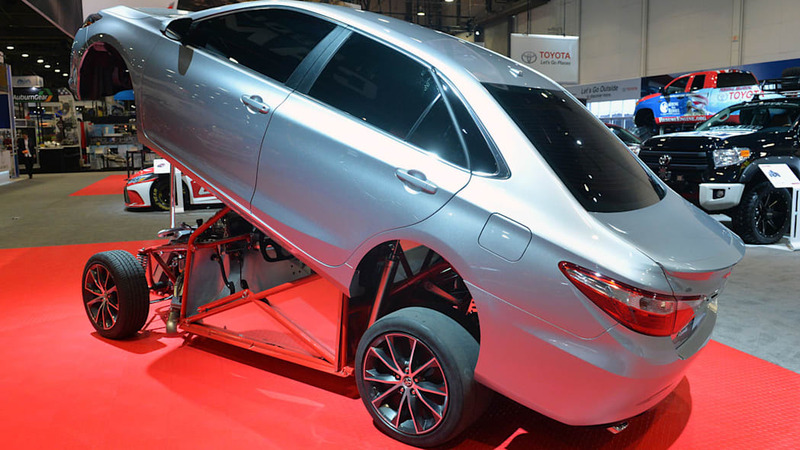 Toyota's Sleeper Camry had just revealed its true intentions. 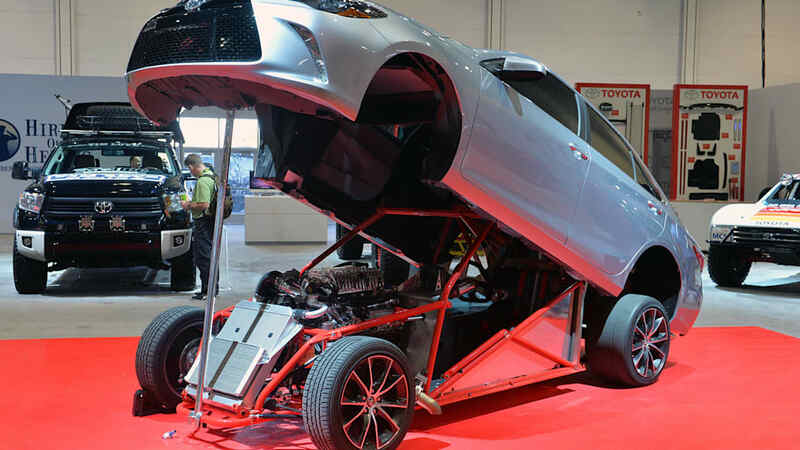 "This is the most extreme build we've ever unveiled at SEMA," said Toyota Engagement Marketing and Motorsports National Manager Steve Appelbaum. 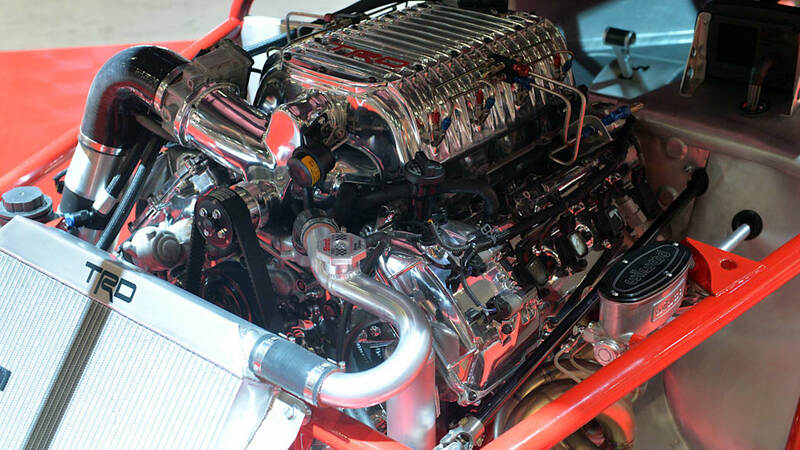 "The transformation from seemingly stock Camry to full-blown racecar just shocks the senses. Chuck Wade and the team at Motorsports Technical Center did a truly spectacular job executing the vision of this project." 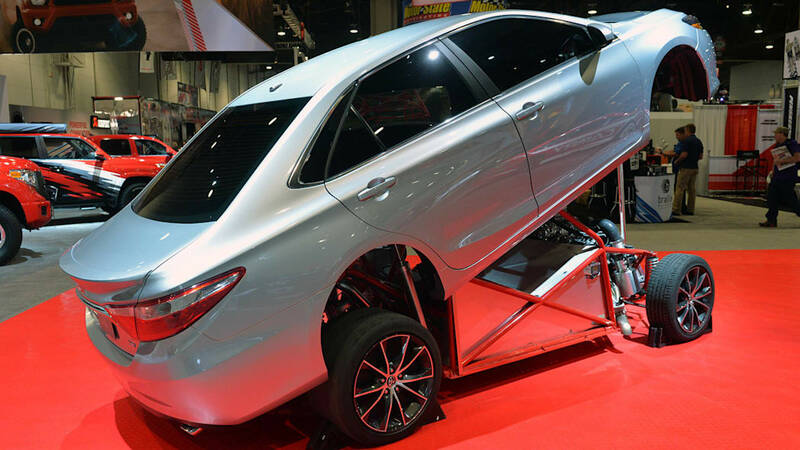 The build team extracted the outer shell of the all-new 2015 Camry and mated it to a full tube-frame chassis. 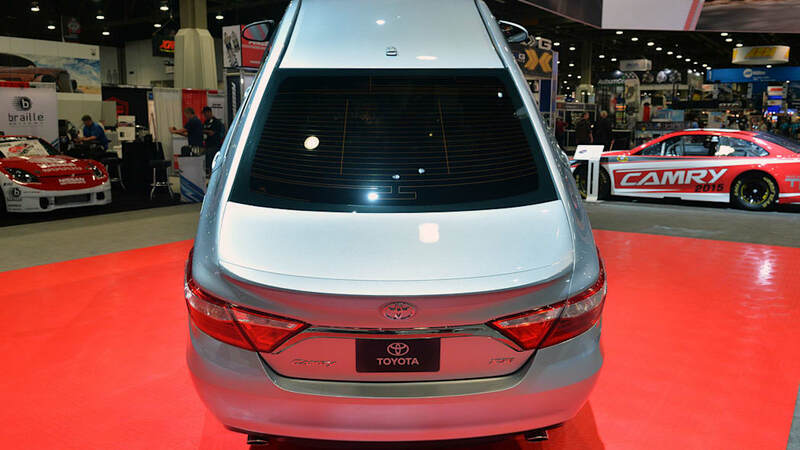 Underneath the stylish Camry skin, it's all about brute force, rugged durability and raw speed. 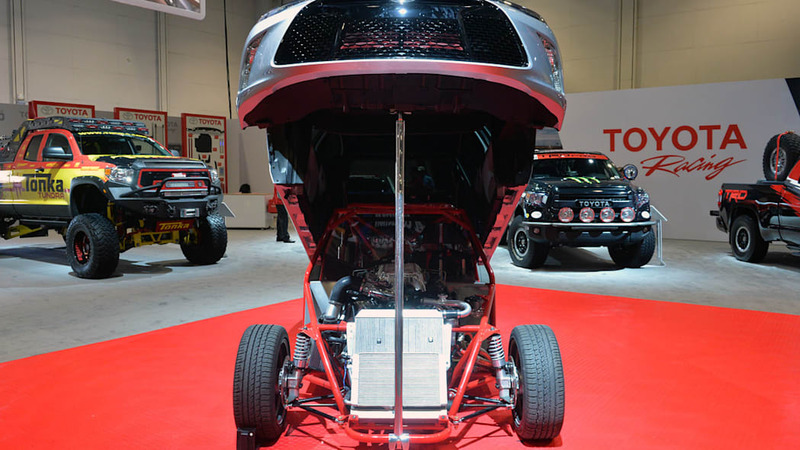 A Tundra was tapped for its 5.7-liter 3UR-FE V8 engine, transmission, rear axle and electronics. 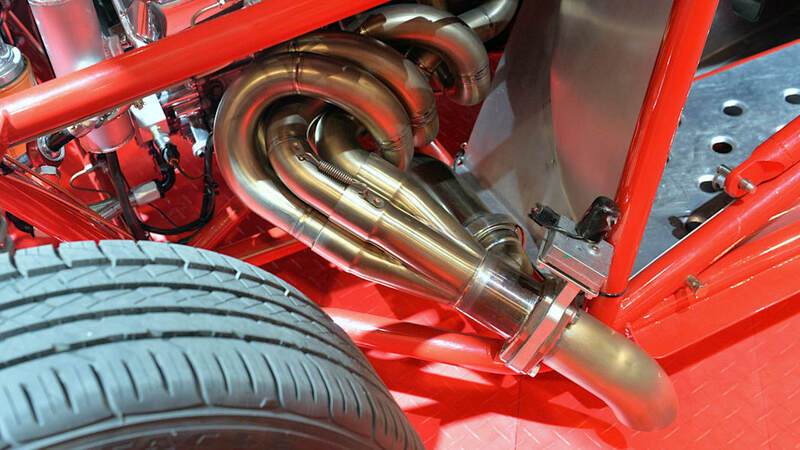 The engine is blown with a TRD supercharger and also features a wet nitrous system. 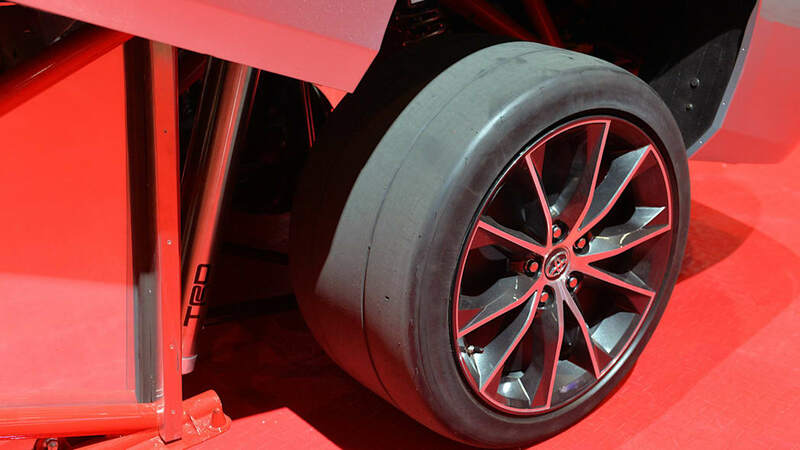 Directing the power to the asphalt are beefy DOT 335/30/18 drag racing tires which are expected to help propel the Sleeper Camry to a blistering 9.80-second* quarter-mile time. It's hard to believe that the build was completed in just 11 weeks. 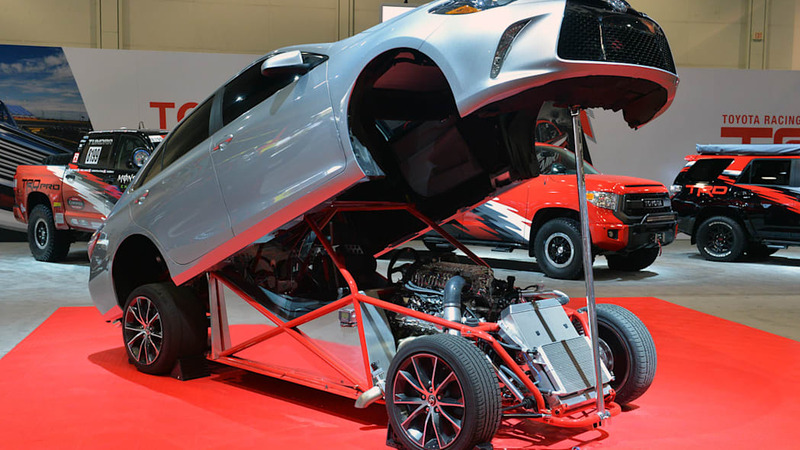 The attention to detail and craftsmanship is evident throughout the dragster - from the fully functional stock doors to the custom-fabricated interior. 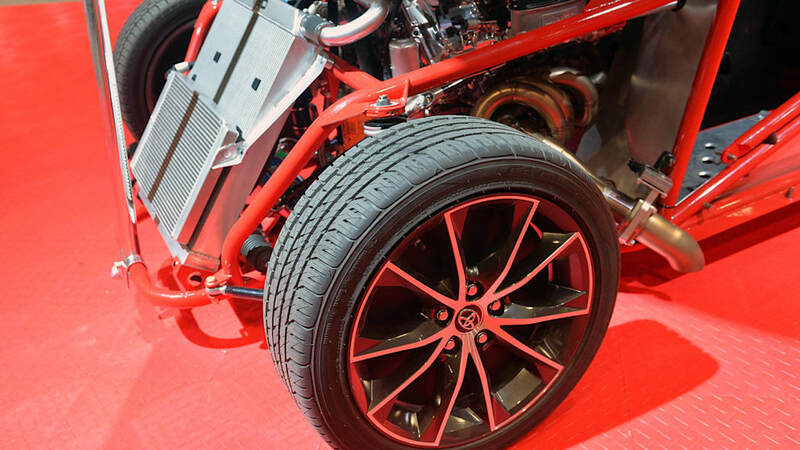 "This Camry is the ultimate sleeper - it definitely has the element of surprise on its side and more than enough muscle to drop the hammer on any unsuspecting car that pulls up," said Wade, Motorsports Technical Center Director.